Oracle's PeopleSoft eComp Manager Desktop administers compensation programs for your workforce and is designed to be managed by individual or groups. 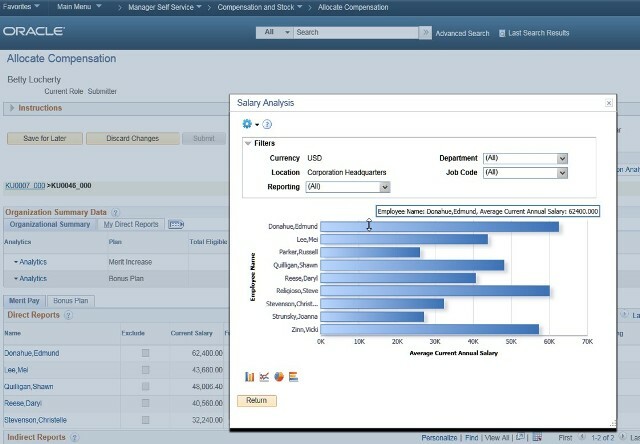 Based on a multiple pay component structure, it can be used to automate the merit, stock and bonus allocation processes. 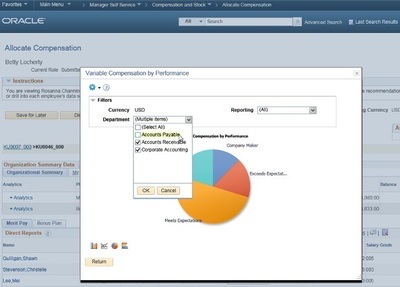 WorkStrategy has designed services specifically tailored to PeopleSoft eComp Manager Desktop. 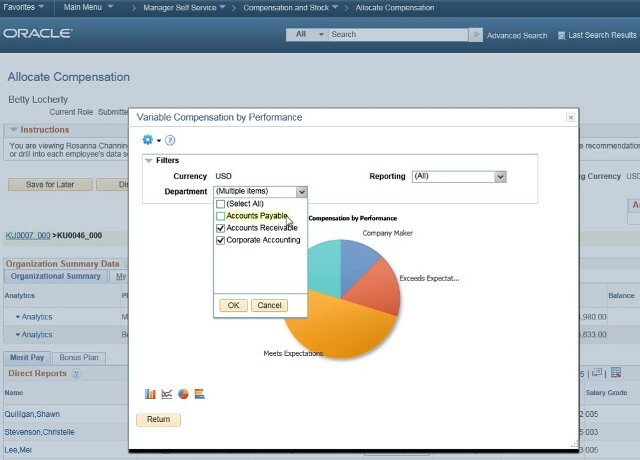 As an Oracle co-developer of eComp Manager Desktop, we can accelerate the implementation process and deliver tangible cost effective results. 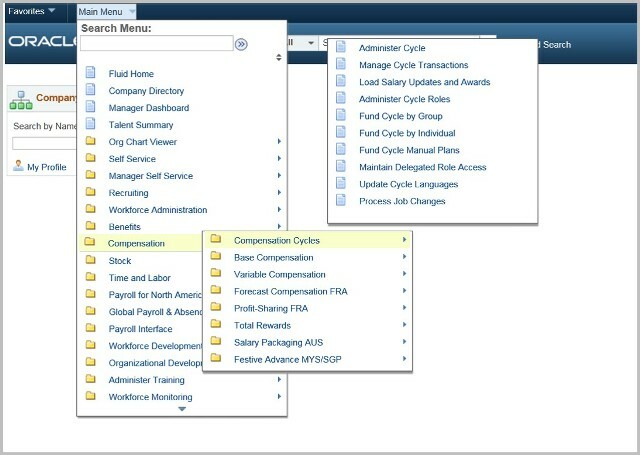 For employee rewards statements, dashboards, and in-cycle dynamic refresh functionality, please review our new eComp Manager Desktop Productivity Pack. 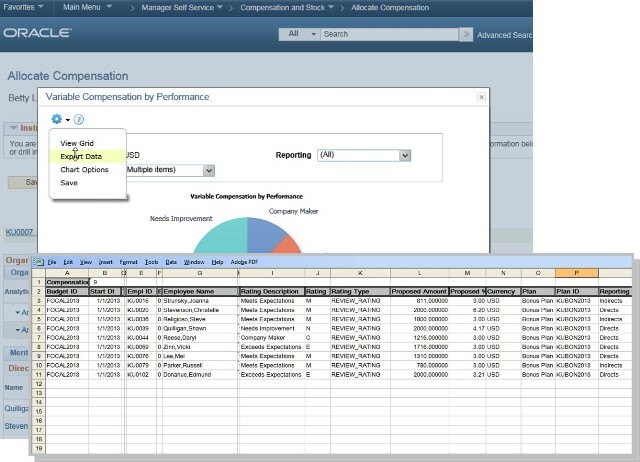 Our partnership with Oracle and our proven compensation methodology enables us to expedite the project planning and implementation timeline. 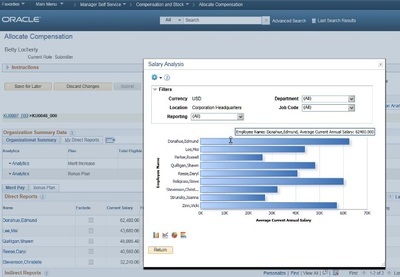 WorkStrategy compensation consultants bring valuable merit, bonus and stock calculation & modeling expertise combined with PeopleSoft core technology implementation experience. 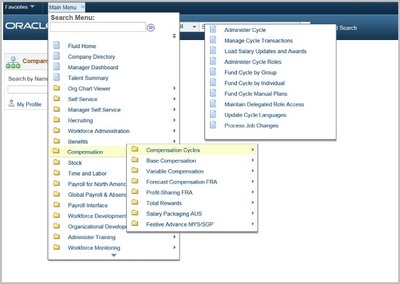 WorkStrategy offers eComp Manager Desktop training as either full-day or half-day sessions (sample topics below).